Brining the Turkey. 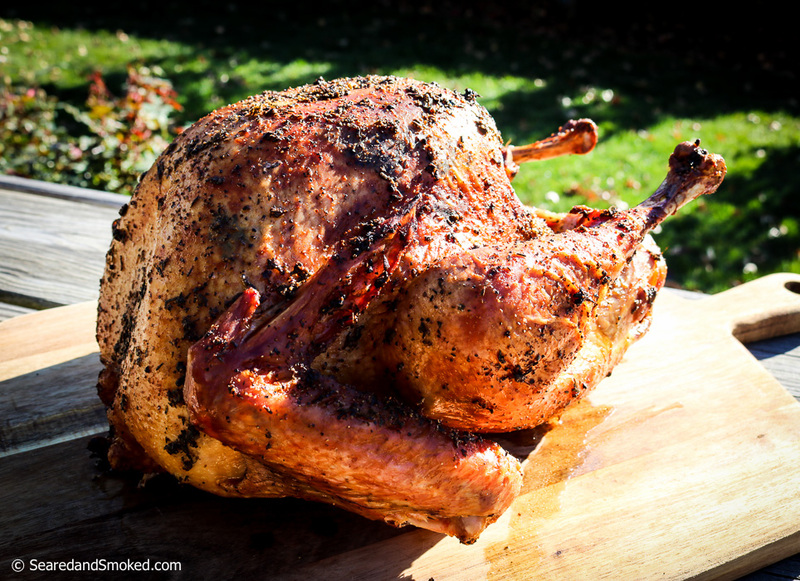 Seasonings for turkey brines can be as simple or as elaborate as you like. Common brining seasonings include kosher salt, peppercorns, allspice, thyme, savory, sage �... Preheat oven to 200�C. Place onion, orange and lemon into the cavity of the turkey, then tie the legs together with kitchen string. 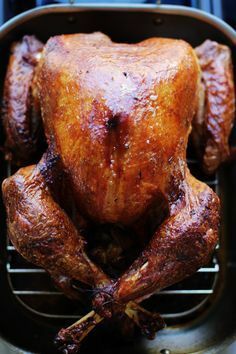 Tuck in the wings and place the turkey on a wire rack set in a large roasting pan or deep baking tray and add 1 cup (250ml) water to the pan. Of course, if cooking a turkey, you are probably cooking other things as well and refrigerator space may be hard to find. A cold cooler will work just fine. Remember to keep the brine cold, but don't let it freeze. If the outside temperature is low enough you can just put the whole thing someplace safe outside until you are ready to cook your turkey. Cooking a Brined Turkey. Cook a brined turkey just as you normally would. Once it's out of the brine, pat it dry and rub it with any spices you were planning to use (although you can skip the salt!). For me the only turkey is a brined one. Not only does it tenderize and add subtle spiciness, but it makes carving the turkey incredibly much easier.